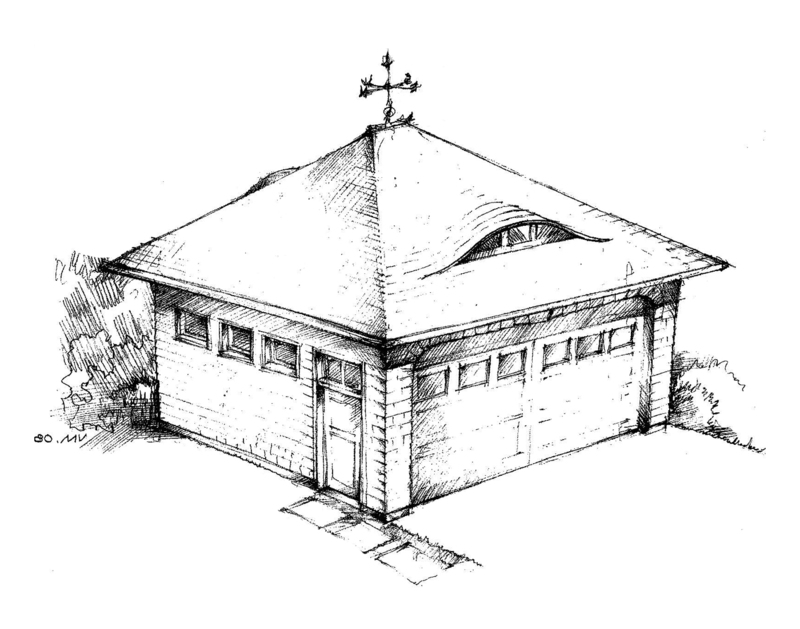 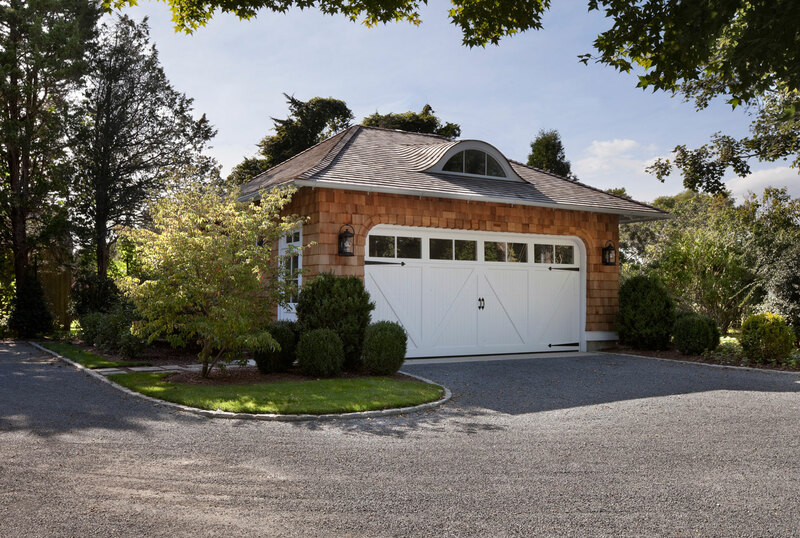 This Shingle style structure adopts the scale and language of the main house, with its low pitched roof and long, shallow eaves, red cedar shingles, and painted white trim. 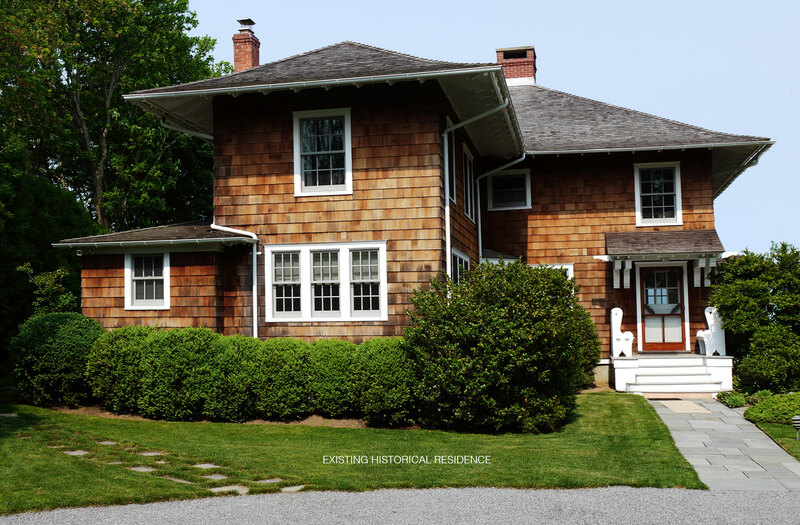 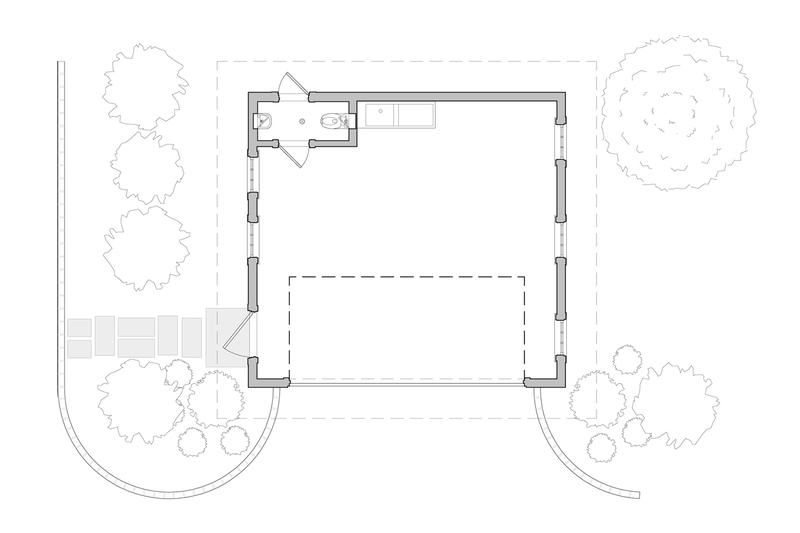 The original house was constructed in 1902 overlooking Sagg Pond in Bridgehampton, New York. 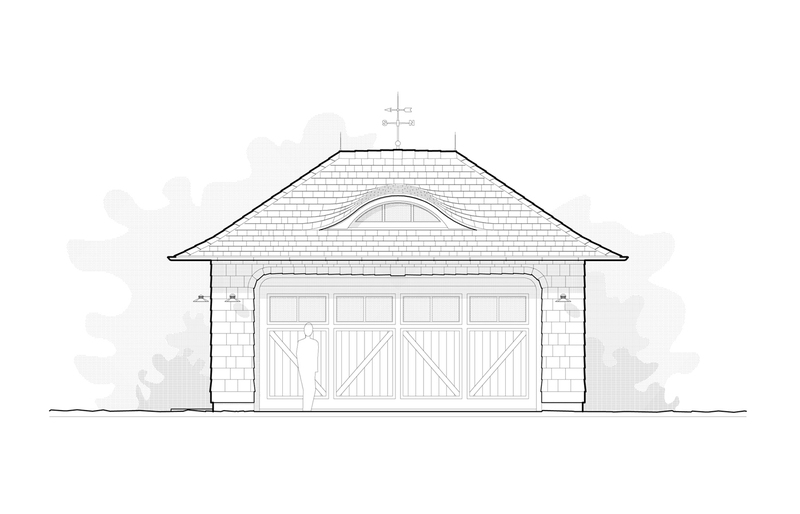 Details such as the eyebrow window, carved lookout rafters, and the dropped half-round gutters reinforce the family resemblance. 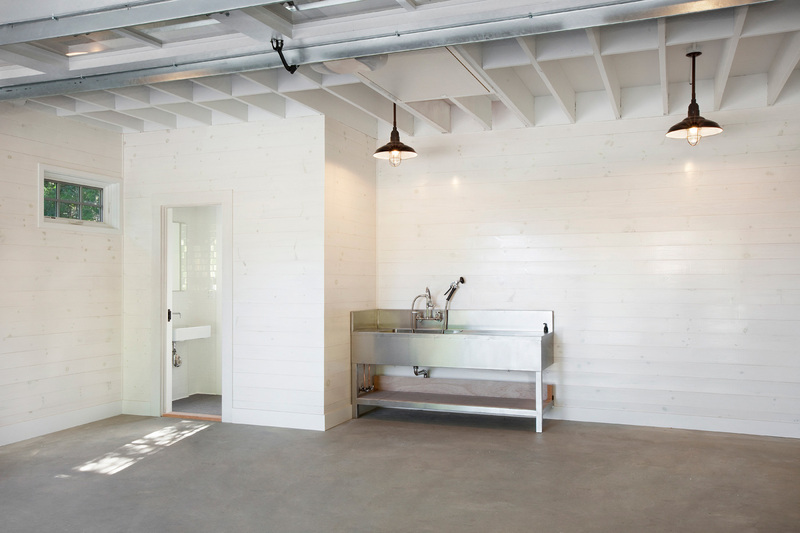 Inside, rather than drywall, traditional whitewashed boards line the walls.